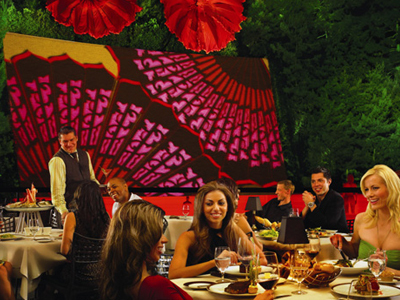 SW Steakhouse is the award-winning restaurant in Wynn Las Vegas and the innovative menu is the creation of Chef David Walzog. 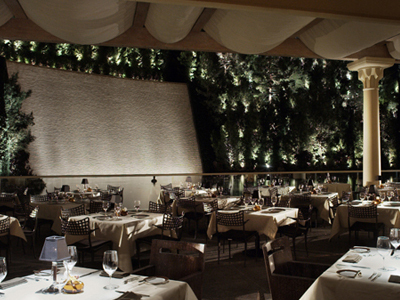 The dining room is elegant with a warm glow throughout and a wall of windows with a view of the waterfall. There is a sophisticated outdoor dining patio overlooking the Lake of Dreams, which is a perfect spot to see the nightly shows. 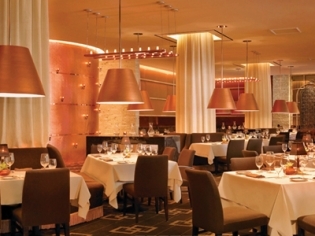 The restaurant is touted as the “Best Steakhouse in Las Vegas” and the perfectly prepared, prime aged steaks are the star of the menu. You may enhance your steak with a variety of choices such as crab legs, lobster or smoked blue cheese. The sides are outstanding offerings such as black truffle creamed corn, roasted broccoli and caramelized onions, and Yukon gold potato puree. Seafood and chops are expertly prepared and complete the menu. Serving certified authentic Wagyu beef. Really nice meal and great serving sizes. Not cheap, but really worth the money. You won’t be dissapointed.